October is proving to be a busy month and thanks to many volunteers, so much is happening at the school. 1000 Class T-shirts were ordered and delivered, OCTOBERFEST (Fall Fair) committee has been working hard preparing for the event this coming weekend, Yankee Candle Fundraiser completed and you helped us raised ~10K that will be used to support News ELA, provide a scholarship to a DSES HS Senior, as well as going towards the playground. The school hallways are lined with beautiful, overflowing, creative raffle baskets. If you aren’t up at school this week, you can catch a first glimps on our Facebook page (Dripping Springs Elementary School PTA). Be sure to check out and thank our fantastic community sponsors for the Octoberfest Fall Fair highlighted in this newsletter! This edition of the newsletter has many opportunities for volunteering through the fall, click each link for sign up lists for: OCTOBERFEST, Cool Cat Cash Store, Watch D.O.G.S., and UIL Coach Snacks. Our October fest (Fall Fair) is this coming Saturday, October 22nd and we are looking for adult and student volunteers to make this event a success! Please click on the link below if you can sign up. There are lots of slots to fill. Any duration of time that can be covered will be a huge help. Sign up here. Cake walk donations – please turn these in Friday, October 21st. Volunteers will be at car drop off to take your goodies! Class Raffle baskets are lining the hallways with so many creative ideas: Lego, Dripping Spirit, Stars of Drip, American Girl, Family Fun, and so many more. Check out the pictures posted to facebook! Raffle tickets are $2/each. If you’re free to help set up Friday from 3-7PM, just head over to the school and the help will be much appreciated! 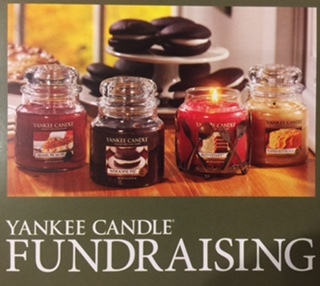 Our Yankee Candle fundraiser was a great success, raising ~$10k. Thank you for all the support in this successful fundraiser!Online orders were shipped to the purchaser’s home, and paper orders will be available for pick up from the school on November 14th. A sign up list for pick up will be posted online soon. The goal is to have 1 to 2 Watch D.O.G.S. on campus each day this year. Look here to sign up. The first CCCS of the year is October 26-27th. You can see the teacher sign up on the Dripping Springs Elementary PTA facebook if you want to volunteer during your child’s time in the store. Donations are always welcome and needed! There are 2 spots left for our new Kindergarten reading program. More information is on our website. 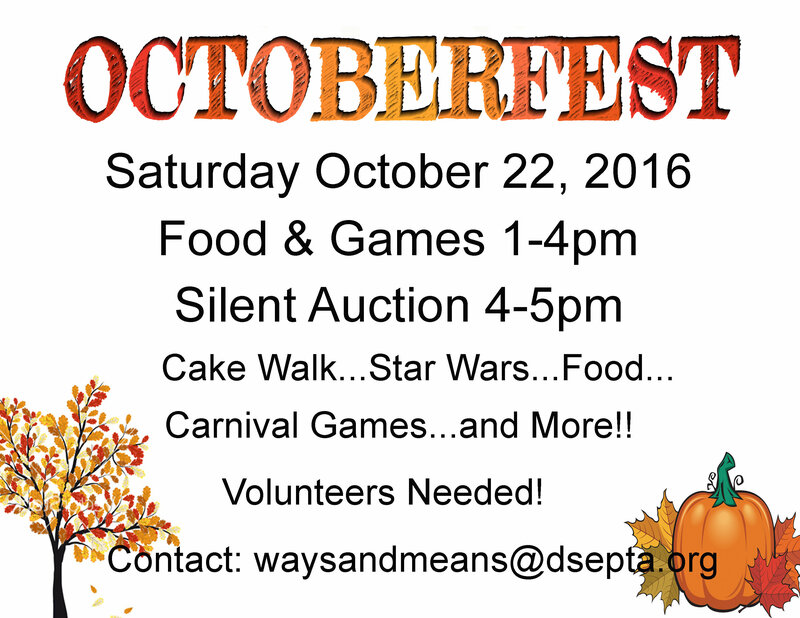 October 22nd – 1-4pm OCTOBERFEST Fall Fair, 4-5pm Raffle Basket drawing! GET INVOLVED – Go here to learn more. PTA membership offers you the ability to be an advocate for our youth on the national, state and local level. At DSES, PTA relies on its dedicated members to lead exciting educational programs, raise money and support for crucial enrichment materials and lend a helping hand to ensure the programs are implemented within the classroom.